To everyone itching for the season to change so you can break out your fall wardrobe, don’t let the weather discourage you. It may be 95 degrees outside, but that doesn’t mean it can’t be fall in your closet. Here are five ways to rock autumn’s hottest trends when the weather’s trending hotter. The days when fall meant burgundies and browns are gone. This year’s cooler season is all about bright, primary colors. 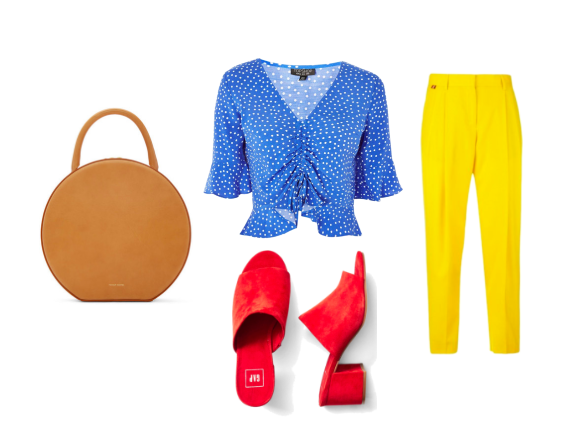 Pair a cropped, bell-sleeved top in blue with daring yellow trousers. These open-toed mules and circular bag are the best accessories for the transition between summer and fall. Whether you’re headed to class or a classy date, this sixties shift dress is the perfect, versatile piece. 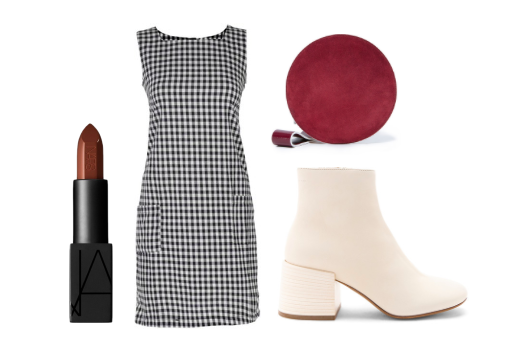 The gingham print is summery when paired with sandals and a wicker bag, but if you add a mod clutch and booties, it’s amazingly fall. Finish it off with a wine-stained lip color for an extra autumn feel. Smash the old taboo about clashing colors and rock a ruffled-sleeve top in burnt orange with a structural pair of cherry-red shorts. 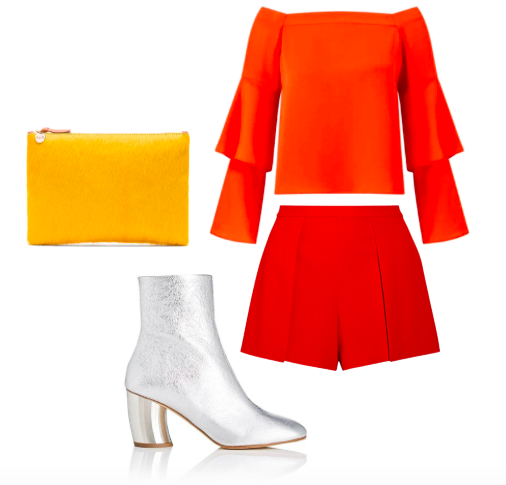 Amplify the seventies vibes with a pair of Bowie-esque silver boots and a furry, mustard-color clutch. The only thing missing is a sweet guitar solo. Sayonara, skinny jeans, the nineties skate-vibe is back in style. Don some wide-leg denim with a unique white trim and pair it with classic checkerboard vans. 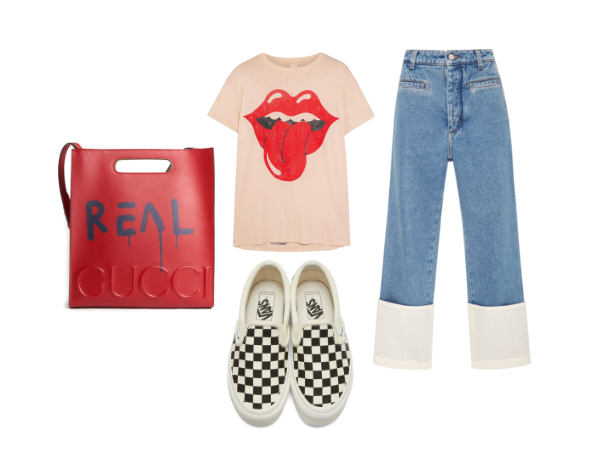 Sticking with this fall’s primary color trend, add pops of red with this Rolling Stones tee and graffiti Gucci tote. Who knew the early aughts would make a comeback so soon. 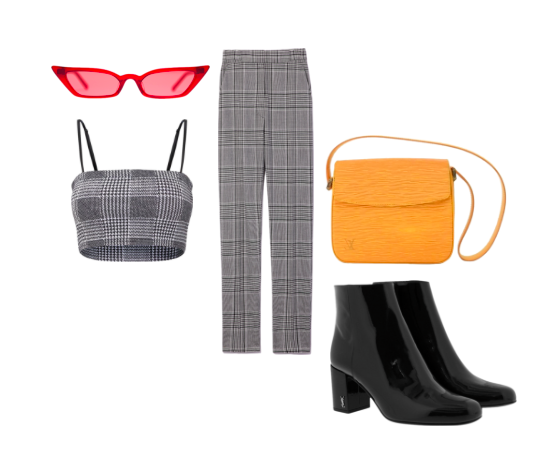 Channel the early 2000s with these skinny red sunglasses and a matching black and white plaid set that’s straight out of “Clueless.” If it’s a bit too Cher Lloyd for you, edge up the look with a mustard-colored saddle bag and black patent boots.